The only 1890 land grant school in Georgia, Fort Valley State University is a comprehensive institution providing an educational experience of exceptional quality. Its 1,365-acre campus is the second largest (in acreage) public university in the state. The Fort Valley High and Industrial School, chartered in 1895, and the State Teachers and Agricultural College of Forsyth, founded in 1902, were consolidated in 1939 to form Fort Valley State College. 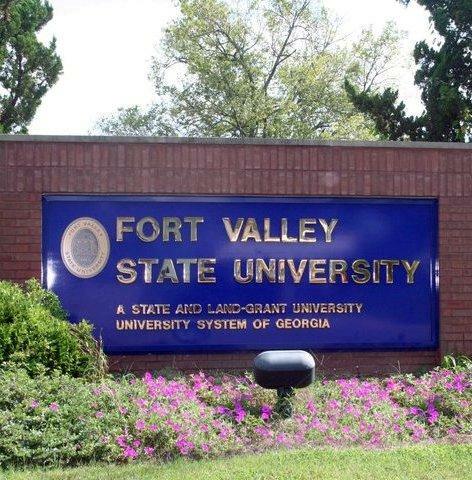 It became Fort Valley State University in June 1996 and has played a great role in Fort Valley's resurgence. The university's 3,000 plus students represent 130 of Georgia's 159 counties, more than 30 states and about 10 international countries. Ninety-four percent of the student body is African American. The average age is 24 for undergraduates and 33 for graduate students. About one-third of students live on campus, and 85 percent attend college full-time. The University offers bachelor's degrees in more than 50 majors - education, business administration and agriculture are particularly popular - as well as master's degrees in education and counseling. An education specialist degree also is available. In an effort to accommodate our graduate and non-traditional students, external degree program courses are also being offered at off-campus sites in Macon, Cochran and Dublin. Fort Valley State's Cooperative Developmental Energy Program (CDEP) is the only one of its kind in the nation, preparing students for energy-industry careers in science and geology. Outreach services include Fort Valley's Cooperative Extension Program, where extension specialists operate in 42 counties, and the Pettigrew Conference Center, which hosts more than 500 courses and events for 51,000 patrons each year.